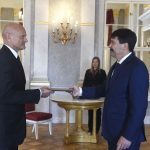 Hungarian President János Áder has signed the amended law on higher education which governs the operations of foreign universities in Hungary. The highly controversial bill is widely seen as the Hungarian government’s maneuver to eliminate George Soros’ Central European University (CEU) from Budapest. President Áder said in a statement that he had reviewed the bill’s constitutionality as well as its compliance with international treaties. Áder said he had determined that the bill was not in violation of the right to the freedom of education or the passage in the constitution granting autonomy to higher education institutions. He said the bill was not in violation of international treaties or European Union directives, either. Among the measures, foreign universities must be subject to a bilateral agreement between Hungary and their state of origin. A last-minute change to the bill moved forward the date for revoking the licences of institutions that fail to comply with the new rules to January 1, 2018 from September 1, 2018. It was passed in a fast-tracked procedure with 123 votes cast in favour by lawmakers of governing Fidesz and the Christian Democrats in the 199-seat assembly on April 4. The Central European University said in a statement after the President signed amendments to higher education into law late on Monday that it firmly opposed the decision to sign the legislation and vowed to take immediate legal action. Approval of the law was not preceded by any kind of consultation with the CEU of Hungarian professional organisations affected by it, the university funded by US financier George Soros said in a statement. The passing of the law violates essential elements of legislative procedures adopted by democratic states, it added. CEU also said that, in its opinion, the law opposed an American institution in a discriminative manner. At the same time, the statement confirmed that the university was ready to negotiate with the Hungarian government. The CEU’s rector and president, Michael Ignatieff, said, “As I indicated earlier, the CEU is ready to negotiate with the Hungarian government in order to find a solution which allows the CEU to remain in Budapest, where it has operated for the past 25 years.” “Academic freedoms, however, are not negotiable…” the statement insisted. 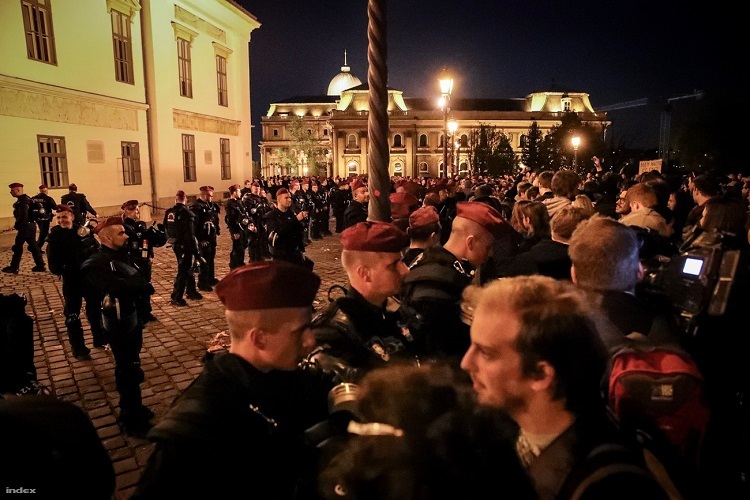 After President Áder signed the law on Tuesday evening, protesters gathered outside the presidential seat, the Sándor Palace in the Buda Castle, and at the headquarters of Hungarian public radio late in the evening amid a substantial police presence. According to public Facebook events, the mass protests in favour of CEU will continue on Wednesday evening at Budapest’s Heroes Square. Meanwhile the Hungarian opposition parties harshly criticised the President for signing an amended law on higher education which governs the operations of foreign universities in Hungary. 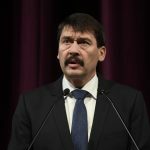 The Socialist Party said János Áder had “proved that he is unfit to serve as president”, arguing that he was “unable to determine the interests of the nation or embody its unity”.”János Áder is just a partisan soldier for whom PM Viktor Orbán’s opinion is more important than the uniform will of millions of people,” the party said in a statement. The Socialists said that by “chasing away” CEU with the law’s implementation, the government was continuing its “anti-national” policies which they said aimed to reduce the number of “critical thinkers” in Hungary to a minimum. Green LMP said it would appeal to the Constitutional Court over the law, saying that it is “convinced” that the law is unconstitutional. In their statement, LMP co-leaders Bernadett Szél and Ákos Hadházy asked the other opposition parties to back their appeal. They insisted that by signing the law, Áder had “once again” chosen to represent the interests of the ruling Fidesz party over those of the country. 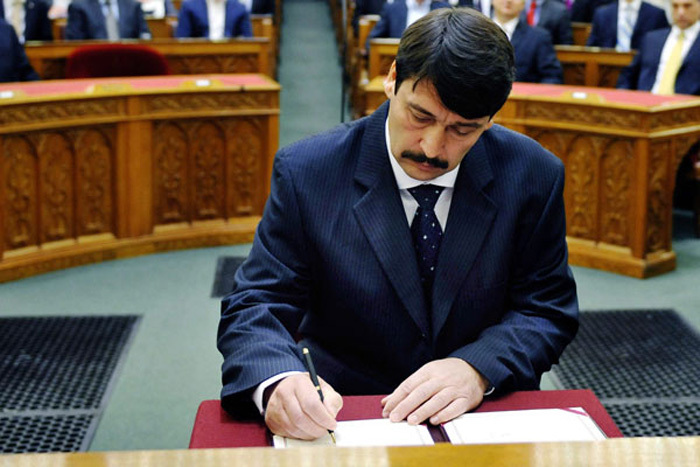 The Együtt (Together) party said that by signing the law, János Áder had proved that he was “unable to not to side with Fidesz” on matters of constitutionality. The party said it would no longer consider Áder a legitimate president and called on the other opposition parties to follow its example.